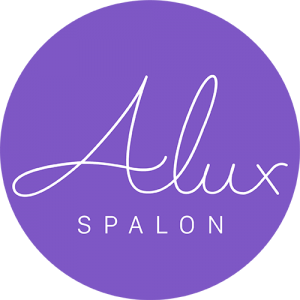 Alux Spalon offers a wide variety of services when it comes to beauty and spa. However we do offer something that tends to mix both of those areas, and that would be our special wedding services. When your special day arrives, you won’t want to worry about any hiccups in scheduling or planning, you will want to focus on checking those boxes on your list and getting to the fun and most memorable parts of the night. We at Alux Spalon understand this and as a means of helping you achieve the necessary efficiency for your big day, we offer travel services specially for you! We will travel to your hotel or wedding location to accommodate you, allowing you to stay in direct contact with the others involved with your wedding day. Our stylists excel in all environments, meaning that no matter the energy levels in the atmosphere, they will still perform efficiently and effectively, helping you to achieve the beauty you desire, so that you can stand confidently and proudly at the alter. And of course, each of these services can be altered to cater to your specific needs! When the time arrives to slip on your wedding dress and walk to the tune of the piano, your hair and dress will emit it’s own glow of cohesive beauty.